We hear about how bad student debt is, how it is out of control and how many students will never be able to repay their student loans. Well I am sorry, I do not have a lot of sympathy for many of them. They really should have a college grads financial advice course at university! Questions I have is whether they had a budget, did they work at a part time job, did they scrimp while going to college and how hard did they actually work at managing their money to minimize those student loans? Based on my own experience at college, I saw so many students out partying, going on expensive (for a student) vacation etc. While it is hard to not do these things, it can mean the difference between a large student loan and a smaller one. There are other areas that students need to pay attention to. We listed a few of them here. Working on these can make the difference between working for years to repay your student loans to paying them off in a short period of time. Value of a College Degree – how much will you earn when you graduate assuming you get a job in your field? This amount should guide you regarding how much to spend on your education. A low paying job will never support a large student loan let alone all of your other regular expenses. Watch Cash Flow – all your life, but especially while going to school. It is so tempting to try to keep up with other well heeled students. But if you cannot afford it then don’t spend it. Can you Afford That – every time you go to buy something always ask yourself if you can afford it and what will it mean in terms of cash available for the next several weeks as well as on your overall finances. Understand how Interest is Calculated – interest rates are incredibly important, especially when they are high over a long time. Many students are surprised to learn that they pay more in interest costs than principle repayment each month. Review this in detail just as if you are cramming for an exam. In fact take a finance course to help you understand how money really works. 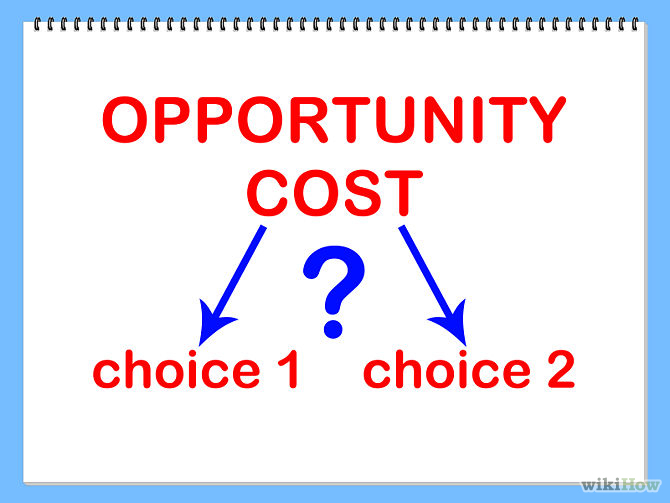 What is opportunity cost and how does it relate to student loans? Let’s say you have $50,000 which is about the cost of the average student loan. You probably do not have $50,000 just sitting around to pay off your student loan. But many people will focus on paying off this loan as quickly as possible. It has always been considered a bad thing to carry debt. We have all been taught to pay off our debt as quickly as possible. However there are times and circumstances that may cause investors and borrowers to reconsider this approach. Let’s assume you have a really competitive interest rate on your loan. Your monthly payment will be around $500 a month. The actual amount depends on the interest rate and the term of the loan. Let’s also assume you have another $500 a month that you could apply to your student loan each month or use as a start on investments. On the other hand you could invest in equities in the stock market. The stock market has historically returned between 7% and 11% on average with some years much higher and of course some years much less. 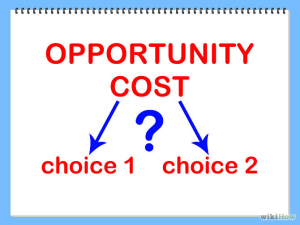 If we assume an average 9% return then the opportunity cost is 9% for this scenario. But wait you must also consider income tax, which may be somewhere in the range of 20% depending on your tax structure and deductions. Nine percent of $500 is $45 income each year on average. If you pay 20% of this in tax or $9 then the net is $36 which is still above 7% net and 2% better than the opportunity cost of repaying the student loan quickly. Use your own numbers to make your decision. The cost of the loan, the expected return you can get on the market and your own tax rate to help make a decision. Invest wisely and diversify, avoid speculative stocks and stick to the plan to improve the overall result. Many people are complaining that student loan interest rates are too high. How can these poor students who have just graduated pay so much interest when they are just starting out and are looking for a job? While it is true they may have a difficult time to repay these loans and the interest rate appears high, but let’s step back a moment and look at this situation from another perspective. For many students it is the first time they will enter into the real world and begin to support themselves. They may have relied on dad and mom, student loans, even a part time job, but now they are entering the real world where they are expected to pay for their expenses and everything that they do. For some it may come as a rude shock, while for others it is just a matter of course and they will need just adjust to the norms of society. The reality is that if you have a non secured personal loan, with a bad credit rating or a nil credit rating the reality is that you will pay a rate that is comparable to anyone in that category. Students are all of these things. They may have a limited credit rating, these are now in reality personal loans and there is no security. This is what you have to pay when you borrow money under these conditions. When you compare rates for mortgages for someone with the best credit rating, sure these student loans at 6% seem very expensive. But these kids do not have a credit rating that really means anything. They do not have a home to offer as collateral. Frankly they are a bad credit risk until proven otherwise. When you consider these factors a 6% interest rate on a student loan is actually not that bad. Anyone else borrowing money under these circumstances might have to borrow at rates even more than this. Sure it will take a little longer to repay and it will cost a bit more than a 5% loan for example, but the faster you get on with repaying your loan, the quicker you can establish your credit rating and apply for loans for cars and mortgages for homes. If you establish a good credit rating, you will also be able to get the best interest rates available for these loans and mortgages. We sometimes wonder if they really needed to borrow as much as they did. Did they go to too many parties for example? Did they have a part time job? Were they living at home? Did they scrimp and save or did they have a good time at college? When you are just starting out, many students may not realize the consequences of what can happen when they do not follow a budget. They do not realize that some day they are going to actually have to repay this loan and they are going to ruin their credit rating if they do not repay their loans. Every time you can reduce your loan by a thousand dollars, you can trim a lot off your budget and your monthly payments when the loan repayment plan begins. Paying off the student loans is a chore, but then again the quicker you repay the loan, the less interest in total you will pay. As soon as the loan is repaid, your cash flow will improve and you will be able to focus on other things in your life. Repaying the loan quickly and on time, improves your credit rating and makes you eligible for other types of loans at some of the best interest rates. You may think that rates are too high; however you have to repay these loans so why just not get on with it. If the government does lower the rate, then it is a bonus for you. But what ever you do, do not delay paying the loans thinking that the interest rate is coming down. You will always pay more actual interest when you slow pay your student loans. Going to post secondary school is expensive and many grads are finding out just how expensive it is when they graduate and begin adding up all of their debt from student loans, from family members, from personal loans and even credit card debt. 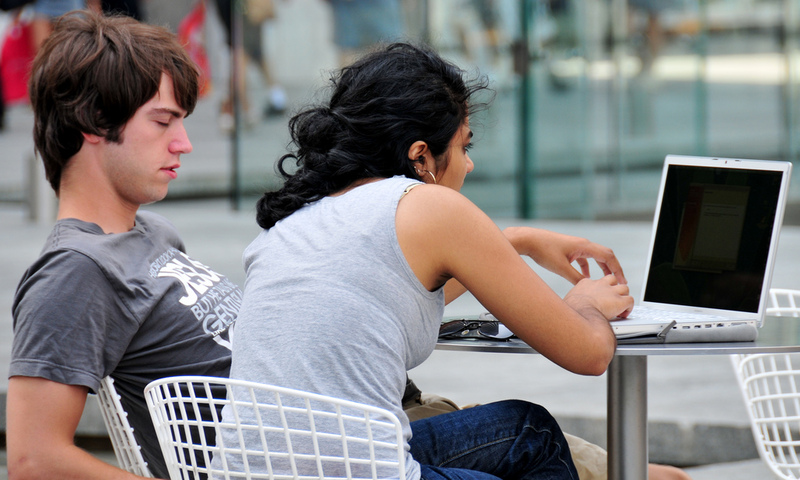 The average student debt in 2013 apparently is more than $35,000. When they graduate many of them have little prospect of repaying their loans anytime soon. The economy is improving and many more people are working. Hhowever the pay rates for many grads is at the minimum wage level. Or just above that since few companies are hiring and willing to pay larger salaries. As a result these grads are having a difficult time repaying loans. Let alone deal with buying cars and paying rent for a place to live. Buying a home is totally out of the question for these people due to their student debt. If they have credit card debt these same grads are faced with daunting interest rates. If you thought that the loan rates of 6% were high for student loans, try 19%. Some rates are even higher for credit card balances that are not paid at the end of the month. It can be very difficult to repay these kinds of debt. With interest is piling on at the rate of 19% let alone the student loan rate of 6%. 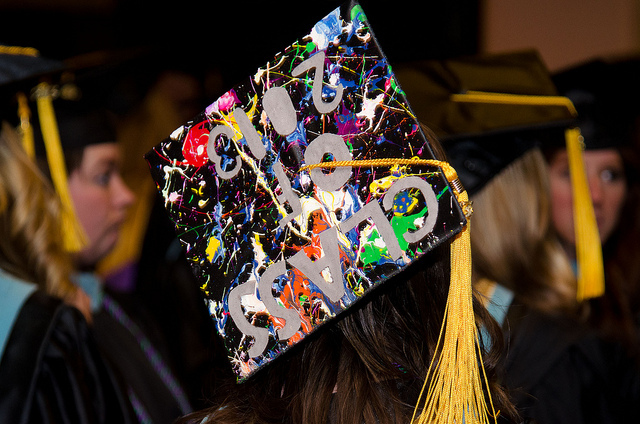 New grads have no choice. They must deal with the student debt they have and focus on meeting the monthly payments as a minimum. Failure to meet all monthly payment commitments can lead to bad credit ratings. Which will affect them later in life when they apply for a personal loan or a mortgage. They could be faced with outright refusal by lenders to loan them any money at all. Or if they do the interest rates could be very high making it too expensive to borrow money. 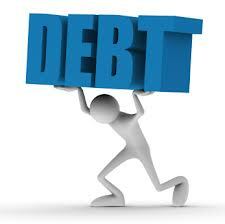 Family debt can be paid last since, most parents and family are not going to report nonpayment to the credit bureau. But make sure that the family knows that you plan to repay them. Otherwise the student can jeopardize family relationships. This can cause severe disruptions among family relations. Focus on meeting all monthly payments first, then take any extra money you may have and pay extra payments on the highest interest bearing debt that you have. This may be credit cards or another personal loan that has a high interest rate. Once this high interest debt is repaid, use the monthly payment that is now available to repay your other debts even more quickly. If you are just beginning your education, this is the time to plan your financing situation. Get a part time job, minimize your expenses, live at home and do whatever you can to minimize your expenses while attending post secondary schools. You may still have some debt when you graduate, but you will owe a lot less as a result and will have an easier time repaying all of your student debt. Focus on getting a job when you graduate and if possible turn your part time job into a full time job when you graduate even if this means that you are not working in your field. It is far easier to find a job when you are working than it is when you are not employed. With a job you will also be able to bridge the time from when you graduate until you find a job related to your education. With a job you can begin paying your student loans off and reducing your debts while looking for a permanent job.